If you've had enough of the rat race and are heading to North Rhine-Westphalia, consider selecting a hip place to stay within a 10-kilometre radius of Aachen - Eifel. lastminute.co.nz has a range of options. 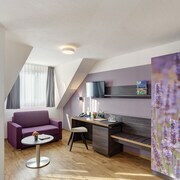 Aachen - Eifel's centre is not exactly overflowing with accommodation choices, but the Hotel Paulushof and Gemünder Ferienpark Salzberg are just a short drive away. 18 kilometres from the main part of Aachen - Eifel is the Hotel zum Walde. The CARAT - Das Vitalhotel Monschau can be found 14 kilometres away. 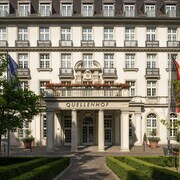 Two more accommodation options are the Burghaus Kronenburg and the CityHotel Stolberg. If you have time, you could explore more of North Rhine-Westphalia. Explore the ruins in North Rhine-Westphalia, or simply head off with that someone special and admire the region's forests, rivers, streams and lakes. Popular activities in this particular part of Germany include mountain biking and hiking. 55 kilometres away from Aachen - Eifel is Cologne, where you can spend the day visiting the City Hall and Cologne Cathedral. 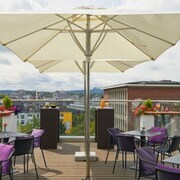 Cologne hotel options are the Excelsior Hotel Ernst and First Domizil. 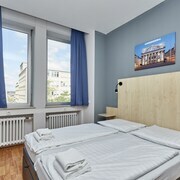 Alternatively, you could stay in Duesseldorf, 75 kilometres to the north of Aachen - Eifel, where you can choose from the THE RED and Breidenbacher Hof, a Capella Hotel. The Duesseldorf City Hall and Museum Kunstpalast are some of the most popular points of interest to explore in Duesseldorf. If watching sport gives you a buzz, make sure you visit Nuerburgring, which is 45 kilometres to the southeast of Aachen - Eifel. For visitors who are keen on sleeping close by, make a reservation at the Dorint Am Nürburgring Hocheifel or the Lindner Congress & Motorsport Hotel Nürburgring. If you are transiting into or out of Cologne - Bonn Airport and choose to stay nearby, try the Leonardo Hotel Köln Bonn Airport or the Airport Businesshotel Koeln.